READERS cannot help but conclude from these pages: HUSSEIN Obama is not only an enemy to America and Israel (take a peek who sat at the ‘President’s Table’ during this week’s Ramadan dinner), but to all minorities who are threatened under the boot of Islamic warfare via Shariah Law. Islam teaches that shari’a, as God’s revealed law, perfect and eternal, is binding on individuals, society and state in all its details. By logical extension, any criticism of shari’a is heresy. Muslims who deny the validity of shari’a in any way are labeled as non-Muslims (infidels) or apostates (those who convert to another religion) by traditionalists and Islamists. As such, they face the threat of being prosecuted for apostasy, a crime that carries the death penalty in shari’a. Hudud punishments are the severe penalities prescribed by shari’a for offenses defined as being against God himself. The punishments for these crimes are seen as divinely ordained and cannot be changed by humans. These include 100 lashes or stoning to death as punishment for adultery; 80 lashes for false accusation of adultery; amputation of limbs for theft; 40 or 80 lashes for drinking alcohol; imprisonment, amputation or death (by crucifixion in serious cases) for highway robbery; and the death penalty for apostasy from Islam. Methods of execution for apostasy can include decapitation, crucifixion, burning, strangling, drowning, impaling, and flaying. Apostates are denied a decent burial after their deaths, and the Muslims who participate in killing them are promised an eternal reward in paradise. Discrimination on the basis of religion is fundamental to shari’a. By religious edict, Islam must be dominant; only Muslims are considered to be full citizens. Jews and Christians are defined as dhimmis (literally “protected” i.e. permitted to live). However this protection is on condition that they do not bear arms, know their lowly place in society, treat Muslims with respect, and pay a special poll tax (jizya). THUS, it is imperative to internalize that without the Sharia’s barbaric basis, its “koshering”, Islam would cease to exist. Its bloody oxygen. Concomitantly, the chaos enveloping the world would be lessened. IN this regard, relative to HUSSEIN Obama’s related treachery, the proofs are beyond manifest and would take more than a book to document. However, for this discussion, let us concentrate on the latest re his assistance – both active and passive – to soldiers for Allah and the rest will come full circle. NOW, hardly a nitpicker, but isn’t it noteworthy that Barack HUSSEIN Obama (and surrogates) refuses to label the Muslim Brotherhood a terrorist org, even after the UAE (and other Mid East actors) are begging him to hop on board?? SO in light of this earth shattering development – whereby certain regional (though hardly all) players in the Mid East finally understand the grave dangers presented by the Islamist Muslim Brotherhood Mafia – there must no longer be any doubt as to what’s what. SIMPLY put, the most dangerous man in the world is at the helm of the free world. Beyond a shadow of a doubt. Surely there are enumerable others who rate inclusion on this nefarious listing/ranking, however, none of them have the same assets at their disposal which Barack HUSSEIN Obama commands. 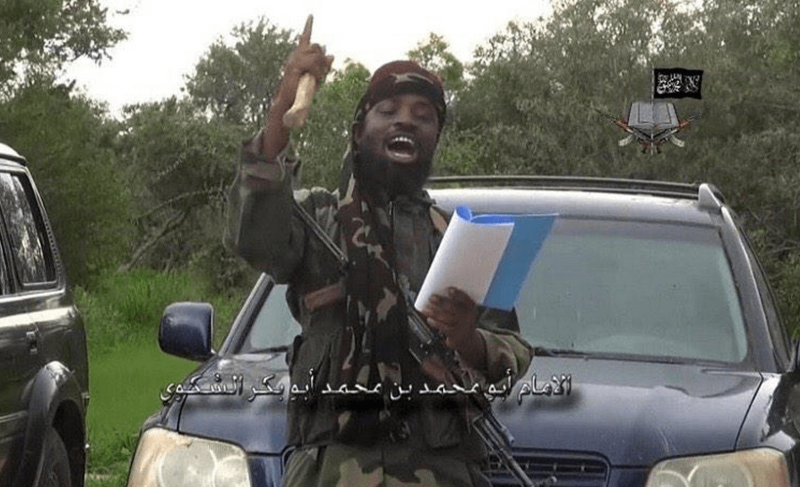 MORE specifically, Boko Haram has recently (March 2015) pledged its allegiance to ISIS, even though their barbarism has always been in sync with ISIS. A match made in Allah’s hellish bowels! THAT being established, it was further assessed (April 2015) that while Christian heads were (still are) sawed off in Nigeria, HUSSEIN Obama backed Muhammadu Buhari, Boko Haram’s Presidential choice, a man who supports Boko Haram! Yes, he does. AMERICANS, westerners, are you ready for some more treachery via HUSSEIN Obama, as it intersects with the aforementioned Nigerian election between President Goodluck Jonathan and former military dictator Muhammadu Buhari? If not, get a grip. Why? Well, the Islamist-in-Chief interfered in Nigeria’s election and guess which side he put America’s considerable muscle behind? And don’t let any news outlet convince you that Buhari is going to stamp out Boko Haram. That’s a damnable and Orwellian lie. Obama Accused of Obstructing Battle against Boko Haram to Promote Axelrod’s Nigerian Muslim Client…..read the whole thing! WHICH brings us to the latest crime committed by the Islamist-in-Chief ala U.S. Special Forces! From a retired Special Forces Officer, now consulting with Rescue Christians. In another act of brutality committed by Boko Haram The Obama Administration’s brazen disregard for human life and continued tacit support of Islamic extremists, is again highlighted by an incident revealed in an intelligence briefing given at Ft. Huachuca Arizona this morning. This past Saturday, near the town of Damasak, Nigeria, 264 Christian men, women and children were herded into an open pit and burned alive. Seventy-eight of the victims were children. This atrocity was committed by an ISIS affiliate more commonly known as Boko Haram. Military briefers told their listening audience (military and government intelligence personnel), that the White House had issued very specific orders that no effort was to be spared in an attempt to limit media and other humanitarian agencies from finding out just how bad the human carnage in the Middle East and Africa was becoming. A huge concern of course, is hide from the world that another genocide is happening which is either an embarrassment to Obama or Obama wishes to see the Christians massacred from so called Muslim territory. As a part of the Executive edict, was specific instructions to all military personnel, restraining them from any action or attempts to interdict these depraved killers. Note that USAFRICOM (United States Africa Command) had received credible reports from U.S. Army Special Forces personnel operating in the area concerning the impending attack on innocents by Boko Haram. This intelligence was in the hands of AFRICOM nearly 48 hours before the actual attack took place. If that were not sufficient cause to act; further corroborating intelligence was submitted from several indigenous resources. One of whom is rumored to be embedded with Boko Haram forces operating in the very area where this horror was committed. And yet in spite of fore knowledge well in advance of the atrocity, no action to prevent the murder of these 278 Christians was taken by American forces. As a former Special Forces operator, several significant factors are plainly evident to me. The first fact to catch my attention is that the briefing officer was quoted as saying that “CENTCOM gave the order” to the Special Forces personnel operating in the area. The order was given, directing US Special Operations personnel that there was to be “No Contact” with enemy combatants. This order was to be followed to the letter, regardless of what actions enemy combatants might be inflicting on the indigenous population. If in fact CENTCOM (Central Command) did issue these orders; the question that beggars an answer, “why CENTCOM and not AFRICOM”? From a practical point of view and in light of the command structure established by the United States Military in the region; all of us know that CENTCOM is not the command authority for Africa. Rather, Africa is the responsibility of AFRICOM. So why did CENTCOM become involved? One might draw the conclusion that CENTCOM is being tasked with a larger area of responsibility and that AFRICOM has been restricted to a lesser role on the African continent. This is not a new command factor. There was a time when CENTCOM was the command authority for several countries on the African Continent. Might we also conclude that in part this shift in command responsibility is in large part due to the poor performance record by AFRICOM in dealing with terrorist forces substantially smaller in size and capability, than those currently established in a great majority of the Middle East. Regardless, we can conclude with absolute certainty, that in spite of what may be afoot regarding the shift in command authorities in Africa; the Obama Administration is doing all that it can to direct media and humanitarian observers focus away from the increasing reality of an impending genocide on the African continent. The entire Obama Foreign Policy debacle would be almost laughable were it not so stark and the consequences such a catastrophic reality. Remember that Obama campaigned heavily prior to being elected for President in 2008, on the platform that he would not allow another holocaust to occur. At the time he was referring to the holocaust involving the Armenian people during the early 19th century. But of course when he made that statement, America was inebriated with the liquor of Hope! Then in 2012, Mr. Obama again showed his true colors. Suddenly in spite of the growing evidence from the Middle East, Obama would no longer acknowledge genocide of any kind or at any time. (Past, present or future) During this time he adamantly refused to ever use the word, “genocide” and repeatedly denied that such a horror could ever again overtake mankind. Of course, shortly thereafter we began seeing graphic images as ISIS began to expand their choke-hold in the Middle East. ISIS began inflicting greater and greater acts of depravity upon the human race; particularly in the Middle East. This past Saturday we saw clearly the consequences of Obama’s Foreign policy. A policy that is summarized in 9 words. Embolden our enemies…Abandon our friends…Emasculate our country! AS to HUSSEIN & wifey’s “concern”, re the unremitting Christian slaughter, well, a photo op sufficed. More than telling…. CASE closed. Indictment sealed – against the Abettor-in-Chief for accessory to genocide!